At Impact Genetics we believe in collaborative partnerships with the experts in specialty molecular genetics. We are honored to have the following leading specialists as our medical advisors. Our medical advisors contribute to our continuous improvement and are not financially compensated by Impact Genetics. 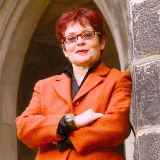 Dr. Brenda Gallie is the Director of the Retinoblastoma (RB) Program, The Hospital for Sick Children; Senior Scientist at the Ontario Cancer Institute, University Health Network and Professor of Ophthalmology, Molecular Genetics, and Medical Biophysics, University of Toronto. Dr. Gallie is a world-renowned ophthalmologist who has championed groundbreaking research on the genetics of RB. Her discoveries have not only improved the outcomes of children and families with RB worldwide, they have also revealed fundamental mechanisms underpinning the basic molecular genetics of cancers in general. Dr. Gallie oversees all laboratory operations and signs off on each RB diagnostic test report. Dr. Damato was born in Malta, and is Professor of Ophthalmology and Radiation Oncology at the University of California, San Francisco, where in 2013 he was invited to be Director of the Ocular Oncology Service. Before then, he was Consultant Ophthalmologist at the Royal Liverpool University Hospital, where he was Director of the Liverpool Ocular Oncology Center, which he established in 1993. Dr. Damato has pioneered or refined several therapeutic techniques for ocular melanoma. His research interests include prognostication for uveal melanoma and quality of life in patients with this disease. He has published more than 150 peer-reviewed articles, 60 reviews, 50 book chapters and 6 books, one as single author. 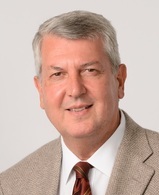 Dr. Damato has served as Founding Secretary then President of the European Ophthalmic Oncology Group; President of the European Vision and Eye Research Association; Vice-President then President of the International Society of Ocular Oncology; and Chairman of the Program Committee of the American Association of Ophthalmic Oncologists and Pathologists. He has won several awards, including the Bjerrum Medal, Danish Ophthalmological Society; Cohen Gold Medal, South Africa; National Health Service Platinum Award, UK; Ashton Medal, Royal College of Ophthalmologists, UK; and the Watson Medal, Cambridge Ophthalmological Symposium. Dr. Tara McCannel, M.D., Ph.D.
Dr. McCannel is the Director of the Ophthalmic Oncology Center at the UCLA Stein Eye Institute of the David Geffen School of Medicine at the University of California, Los Angeles (UCLA), is a leader in the field of ophthalmology and diseases of the retina and vitreous. She has pioneered new surgical treatment strategies in ocular melanoma that are both vision-saving and that provide patients with more knowledge about their cancer. Dr. McCannel belongs to a number of professional organizations, including the American Academy of Ophthalmology, the International Association of Ocular Oncology, the Association for Research and Vision in Ophthalmology, and the American Society of Retina Specialists. She is also a member of both the prestigious Retina and Macula Societies. Dr. Tara McCannel earned her doctor of medicine degree at the University of Toronto’s Faculty of Medicine. She also completed her internship and a four-year residency in ophthalmology at the University of Toronto’s Department of Ophthalmology and Vision Sciences. Dr. McCannel was named Chief Resident in Ophthalmology and matriculated in the University’s Clinician Investigator Program, from which she earned her Doctor of Philosophy in the School of Graduate Studies, in the field of molecular biology. Before being recruited to UCLA, she completed a two-year vitreoretinal surgical fellowship at the Massachusetts Eye and Ear Infirmary, Harvard Medical School. 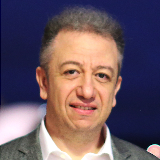 Hatem Krema, MD is the Director of the Ocular Oncology services of Princess Margaret Cancer Centre/ University Health Network, University of Toronto, Ontario, Canada. He is an Associate Professor in the Department of Ophthalmology and Vision Science of University of Toronto. He graduated from Cairo University in 1990 and obtained his Master’s degree in Ophthalmology from the same University. He was elected a fellow of the Royal College of Surgeon of Edinburgh, United Kingdom in 1997. He started his training in Ocular Oncology at the Royal Liverpool University Hospital, England, United Kingdom; and at Bascom Palmer Eye Institute in the University of Miami, Florida, USA. He completed his fellowship training in ocular oncology at Wills Eye Institute, Thomas Jefferson University, Philadelphia, Pennsylvania, USA, and was also trained as a clinical fellow in Ocular Oncology at University of Toronto. With his clinical and surgical duties, Dr. Krema has a full schedule of teaching and academic activities. He has been invited to provide courses and teaching sessions in ocular oncology to residents and fellows in several countries, and he was granted The Residents’ Award for the best Teacher in the Department of Ophthalmology of University of Toronto in 2013. He has been titled an Honorary Fellow of the International Council of Ophthalmology in 2017. He has been also invited as a guest speaker in several national and international conferences, and he is a frequent presenter and moderator in international ophthalmology meetings, with over 150 paper presentations. 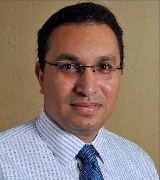 Dr. Abdel-Rahman received his medical degree from the Faculty of Medicine, Cairo University. He did his residency and fellowship trainings in histopathology in Egypt. He received his PhD in pathology from the Ohio State University, USA in 2002 and did a fellowship in Clinical Cancer Genetics at the Ohio State University from 2004-2006. He holds active medical licenses in Egypt and Ohio. He is trained in both liver and ophthalmic pathology. He has been on the faculty of the Department of Ophthalmology and Visual Science at the Ohio State University since 2009 and currently a tenured Associate Professor. Dr. Abdel-Rahman’s laboratory studies the genetics of uveal melanoma, in particular hereditary predisposition to the disease. He also studies molecular markers for early diagnosis and molecular based targeted therapy. Dr. Abdel-Rahman and his group were the first to recognize that about 11% of uveal melanoma patients have personal and family histories consistent with hereditary predisposition to a diverse variety of cancers. He led one of the groups that discovered the BAP1 Tumor predisposition syndrome, which impacted not only the ocular oncology field but also other hereditary cancers. Dr. Abdel-Rahman has authored several widely cited studies on uveal melanoma. In addition to running an active research laboratory at the Ohio State University, he established a molecular biology laboratory and bio repository at Menoufia University in Egypt in collaboration with the Sustainable Sciences Institute. 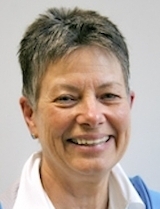 Dr. Michelle Letarte is an Emeritus Professor in the Department of Immunology at the University of Toronto, and an Emeritus Senior Scientist in the Molecular Program at the Peter Gilgan Centre for Research and Learning at the Hospital for Sick Children. Her research interests included studying the structure and function of Endoglin and endothelial cell pathways altered in Hereditary Hemorrhagic Telangiectasia (HHT), and in other vascular diseases. She discovered that Endoglin is a co-receptor for both Transforming Growth Factor Beta (TGF-beta) and the gene mutated in HHT Type 1 (HHT1). Her laboratory established a research diagnostic test for HHT that is currently employed as a clinical mutation diagnostic test for patients at risk. She also identified several TGF-beta receptor interacting partners, including those of Endoglin. Her latest research papers were collaborative studies describing the crystallographic structure of endoglin and the further characterization of a short form of endoglin found in circulating exosomes during pregnancy. Dr. Letarte has also been the chair of the Education Committee for the International Union of Immunological Societies for several years. Ian qualified in Clinical Medicine at Cambridge University and, after initial training in all branches of pathology, studied DNA repair by mutM and mutY for his PhD at the Paterson Institute in Manchester. He is the only Consultant Genetic Pathologist in NHS service, at the Institute of Medical Genetics, University Hospital of Wales, Cardiff. In 1993 he was appointed Clinical Research Fellow in the prestigious Family Cancer Clinic at St Mark’s Hospital, London where he established APC gene testing in familial adenomatous polyposis, microsatellite instability (MSI) and gene testing in Lynch syndrome and PTEN gene testing for Cowden’s syndrome. During this time he provided some of the first evidence for relatively high prevalence, but low-penetrance alleles of APC: I1307K and E1317Q. With Ian Tomlinson he helped identify that the position within the APC gene of an inherited mutation is itself a major modifier of polyposis severity, and the locus responsible for Hereditary Mixed Polyposis Syndrome. He later helped in identifying human mutY homologue (MUTYH) as the second gene in which inherited mutations can cause adenomatous polyposis. In 2001 while back in Cambridge, Ian established the first NHS clinic in the East Anglian region for familial bowel and related cancers, and associated testing of colorectal cancer genes, MSI and (with Mark Arends) mismatch repair immunohistochemistry. Since this time Ian has striven to prove that systematic testing of incident cases of cancer to find patients with Lynch syndrome is both worthwhile and warranted, resulting in two major National Institute of Health Research health economic assessments and ultimately to guidance being issued by both the UK Royal College of Pathologists and the National Institute for Health and Care Excellence (NICE; https://www.nice.org.uk/guidance/dg27 ). Ian’s clinical work now concentrates on mutation interpretation and genotype-phenotype correlations. He is a national external quality assessor of mismatch repair protein IHC for UK NEQAS ICC & ISH, an Honorary Senior Clinical Research Fellow at Cardiff University, a Visiting Chief Investigator at Cancer Council New South Wales, and a member of the Genomics England Clinical Interpretation Partnership for Inherited Cancers. He has published more than 60 peer-reviewed papers, as well as in numerous textbooks. Ian is a member of Council and the Variant Interpretation Committee of the International Society for Gastrointestinal Hereditary Tumours (InSiGHT) – now recognised as the first ClinVar Expert Panel. 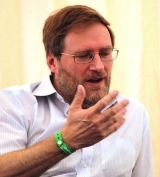 He is also Honorary Medical Adviser to Lynch Syndrome UK, Honorary Treasurer of the UK Cancer Genetics Group, a member of Faculty of the Collaborative Group of the Americas on Inherited Colorectal Cancer, a member of the Human Genome Variation Society, and the European Board of Laboratory Medicine, where he represents the UK and laboratory genetics. In 2017, in recognition of his outstanding lifetime contribution to the practice of pathology, Ian was conferred with Honorary Fellowship of the Faculty of Pathology of the Royal College of Physicians of Ireland and awarded the triennial Association of Clinical Pathologists Dyke Foundation Medal. Ms. Jessica Marquard, MS, LGC. Jessica Marquard is a certified and licensed genetic counselor at the Cleveland Clinic Foundation. She received a Master’s of Science degree in Human Genetics from the University of Michigan in 2008. Jessica provides genetic counseling for both common and rare hereditary cancer predisposition syndromes. 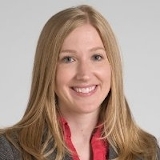 Jessica is the principal investigator at the Cleveland Clinic regarding screening for Lynch syndrome among patients with colorectal and endometrial cancers. She is the lead manager for the patient registry for universal tumor screening results. 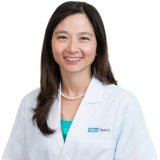 Her additional research and clinical interests include succinate dehydrogenase genes, hereditary paraganglioma and pheochromocytoma, and hereditary gynecologic cancer syndromes. Jessica is an ongoing committee member of Commission on Cancer at Fairview Hospital and Akron General Hospital of the Cleveland Clinic. Jessica has been active in The National Society of Genetic Counselors (NSGC) and in professional activities for genetic counselors throughout her career. She is a current member of NSGC, the NSGC Familial Cancer Special Interest Group, and also as a diplomat of the American Board of Genetic Counseling. Jessica has contributed to over 40 publications and has delivered over 25 professional and community based presentations. Additionally, she has participated in several patient and family support groups.